The use of guard rails can help protect personnel and equipment in both commercial and industrial settings. They can be used as interior barriers for hazardous areas as well as protection for exterior areas such as parking lots, entrances, and walkways near buildings. Guard rails are also used installed at parks and playgrounds to protect these areas from vehicle traffic on adjacent streets and parking lots. Guard rails outline and protect indoor pedestrian areas from forklifts and other machinery. 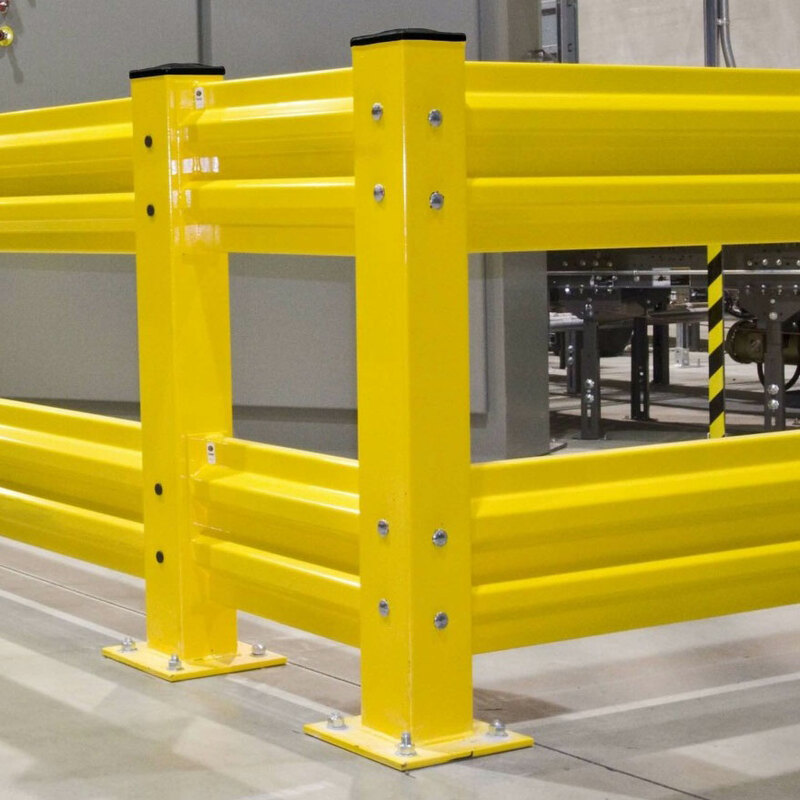 Indoor guard rail products can include a bright OSHA OSHA-yellow powder-coat finish to make them more visible to employees. Helps to keep vehicles from driving through grass areas while also protecting nearby pedestrian traffic. Indoor guard rails are manufactured from high-strength steel that is formed into a two-rib corrugated design with two secondary ribs. 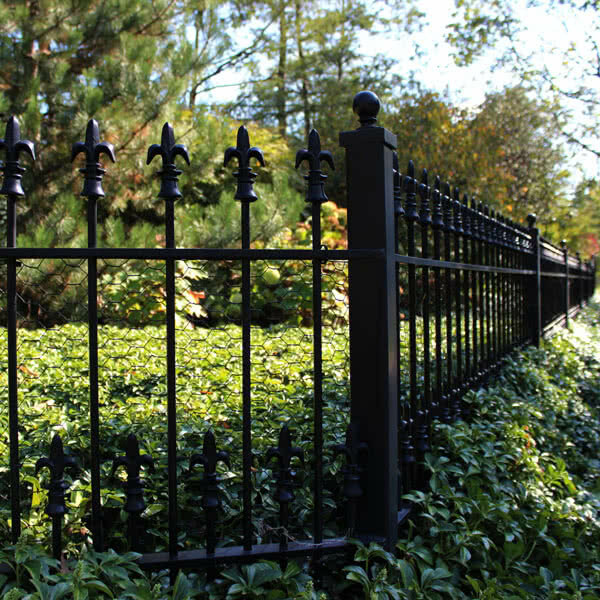 Pipe railing systems are often used to protect frequently traveled walkways. The most common is the two-rail pipe railing, but other options are available. Highway guard rail is often used to protect outdoor areas from nearby traffic. Our w-beam and thrie-beam rail products provide the security necessary to stop vehicles at a low speed. 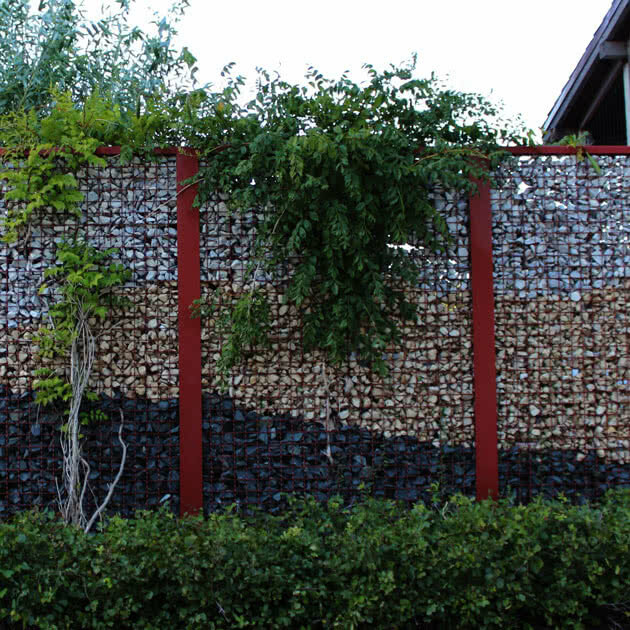 A wood guard rail has also become a popular option when a more aesthetic appearance is desired. Its rustic look will help blend the guard rail with the surrounding environment while also providing a safe exterior barrier. A sales rep can provide more detailed information on these products upon request. From sales to installation, Peerless exceeded our expectations.